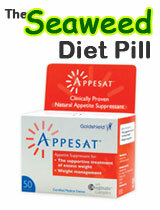 Concerns have been raised over what started out earlier this year (2009) to be the most significant and effective slimming pill ever to be made available to buy without the need for a prescription. 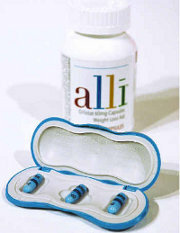 Alli Orlistat, the GlaxoSmithKiline produced fat blocker went on sale to the general public in April. 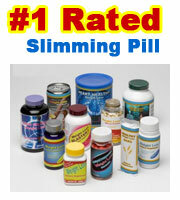 Initially, there did not appear to much negativity surrounding this self professed wonder slimming pill – but slowly, over the following months controversy upon controversy has now tainted it to the extent where calls for a ban have left its reputation in tatters. A recent BBC report highlights the lengths that people will stretch to obtain the pharmaceutically produced fat blocker. Although Alli is free to buy without prescription – some regulations are in place to prevent customers that should not be taking any kind of weight loss product, let alone a powerful pharmaceutical one. 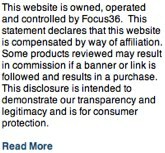 The initial regulations set in place for anyone wanting to buy Alli were not entirely straight forward. 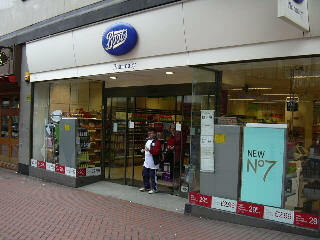 If the returned Body Mass Index was 28 or above the sale could be made – under 28 and pharmacist was well within their rights to deny. Now its seems buyers that have a particularly low BMI score have taken to buying Alli online and skirting around these rather loose and ambiguous regulations by completing the required online form using false and inaccurate details. The Royal College of General Practitioners says it’s an obvious concern and BEAT, the UK’s leading eating disorder charity organisation, says it is aware of customers with anorexia and bulimia are getting hold of Alli by avoiding the in store process preferring to order online and not being truthful with their declaration. There are calls from many quarters to stop Alli being available to order from online pharmacies – although realistically any action would take months if not years to be legislated. 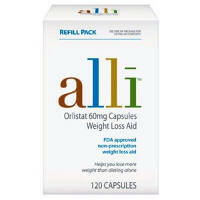 A spokesman for Glaxo says “Dozens upon dozens of clinical trials on thirty thousand candidates in many countries have proved Alli is safe.” Although this doesn’t really address the problem as to why a slimming drug is being sold to people with eating disorders.